Google founder Mark of its Boston Dynamics Raibert said: "this game is a chance to see how difficult it is when the robot on a mission. 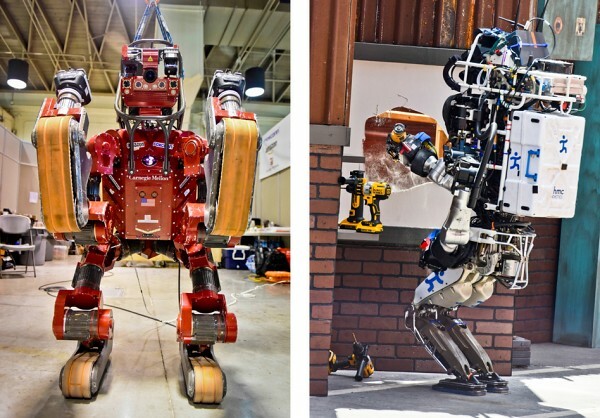 "Boston Dynamics has created an extremely sophisticated humanoid robot before Atlas, and the DRC games several teams had used Atlas robots to participate in, other teams were brought with them from the beginning developed robots. Atlas has a dynamic equilibrium, which means that it can walk at a brisk pace, even if you push it, it can continue to stand on one leg for balance. Even with the help of these technologies, however, DRC race results to prove, Biped robot is still balanced precariously, especially walking around in the sand, across the piles of rubble and walked out of the car. Using the Atlas team witnessed its own robot collapsed during a match. Many robots trying to grab objects and using the correct methods using the object, this also indicates machine vision and actions to achieve the perfect difficulty. Pick up a power drill and drill out a hole in the wall, one thing is particularly challenging for most robots. Robot participating in the contest is not exactly need self action. Challenges the design scene is to simulate a human remote control robots into the nuclear power plant, but also simulated radio interference. So it asked the development team for the autonomy of their machine, while also keeping the events happening in the wrong time, humans are able to intervene. 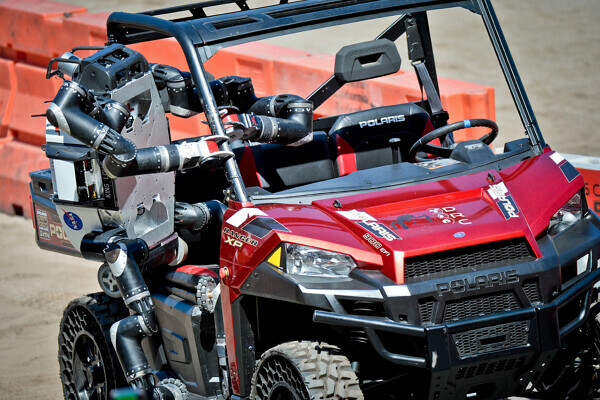 Teams involved in the game to give robots joined the autonomous operation of different levels, for example a team from MIT, created their own Helios Atlas robot, the robot has a very high standard of independent operational capability. And this is from the Germany team Nimbro, chose a more direct way to control robots, 9 team members robot controlled robot while performing different tasks. Nimbro team ranked fourth, completed 7 in eight missions, and the Massachusetts Institute of technology won the seventh place, they completed the same number of tasks, but more time consuming than Nimbro team. Performed best in the challenging team took a cautious approach to integration of robots and human capacity. In So Kweon is the principal investigator of DRC-Hubo sensor system, KAIST robot of its leadership team is the winner of this contest, they key to the success of the team is that good cooperation between humans and robots is introduced. "These tasks need to be combined with human action, awareness and understanding of the environment and robots, we make between the two parts to achieve a good balance. " Organizers of the DRC Gill Pratt believes that despite the competing robots look very natural, but their level of automation are limited, in essence, they are just puppets. But the game can tell us is that robots and humans can cooperate to perform their respective functions. 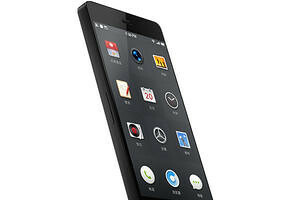 Hammer's first hardware product is quite satisfactory, originality in design making it par with the Apple iPhone can, based on Android software 4.4 Smartisan OS is easy to use and user-friendly enough. During the T1 processor and the lens are overstating the level, although there are certain hardware defects but the overall experience was very good.